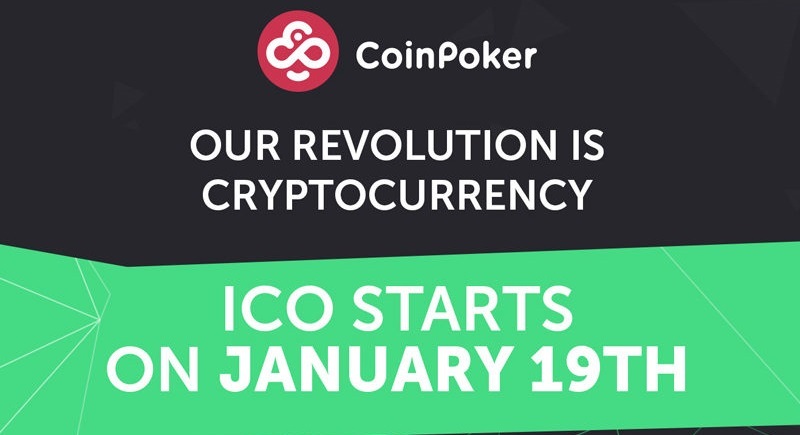 An up-and-coming cryptocurrency-based poker room called CoinPoker is preparing to launch its Stage I ICO (Initial Coin Offering) on January 19th at 10 am GMT. They will offer 137.5 million CHP tokens for sale, which is the main cryptocurrency on the CoinPoker website. During the Stage I ICO, CHP tokens are valued at 1 Ethereum for 4,200 CHP. CoinPoker launched in November last year. In that short time, they have managed to become one of the most popular cryptocurrency poker sites with more than 30,000 unique registrations. 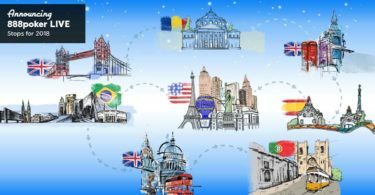 Right around their launch, CoinPoker organised a pre-ICO, which was a huge success. The pre-ICO lasted from November 16th-22nd, during which they sold 100 million CHP tokens in six short days. At that time, CHP had a value of 1 Ethereum for 6,600 CHP. As for the Stage I ICO, it seems that it will be a massive success as well. Hundreds of people have already applied for this ICO, and more are yet to come. The ICO will end on January 26th or when all tokens are gone. 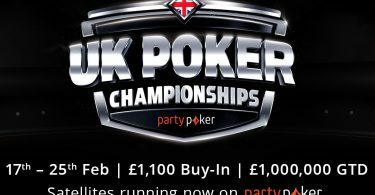 CoinPoker is already planning the Stage II ICO where they will sell the same amount of CHP tokens, but at a slightly lower rate (1 Ethereum for 3,500 CHP). If both ICO stages end up as a success, CoinPoker plans to give back 15% tokens to its community and supporters. They will organise real-money tournaments, starting with a tournament on January 21st where the main prize is a Tesla S model. Yes, you will get the chance to win Tesla’s electric supercar. An ICO is a method that cryptocurrency startups use to raise funds for their projects. Bitcoin poker rooms, casinos, and so on prefer ICOs instead of traditional capital-raising methods because it’s unregulated. You see, banks and venture capitalists require from a startup to pass a strict evaluation and regulation process. An ICO has nothing like that. During an ICO campaign, startups usually sell a percentage of their cryptocurrency in the form of tokens. These tokes are similar to the company shares. If the startup fails at raising enough money, the campaign is a failure, and all backers receive their money back. What will happen with CoinPoker Stage I ICO, we are yet to see. But we have a gut feeling that they will pass with the flying colours.